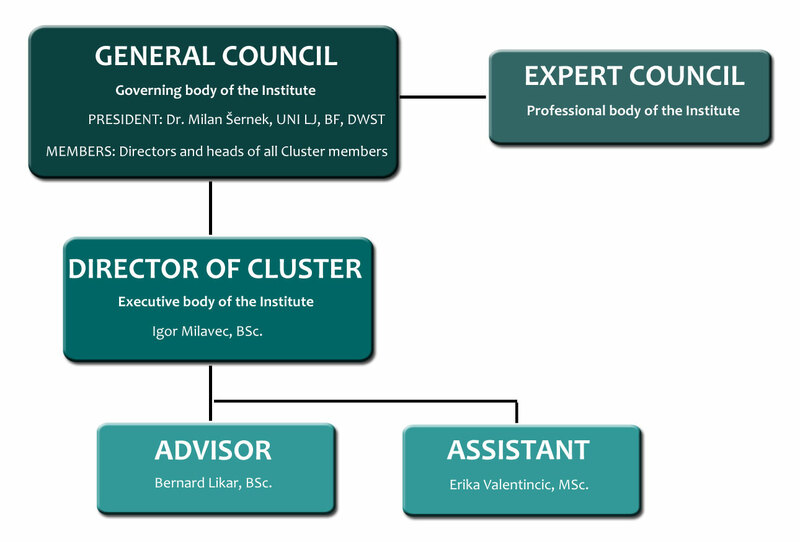 The Cluster activities are directed by the General Managers of the Cluster members through the managing bodies. The Cluster Office implements the programme adopted by the association bodies. The Council of the Association consists of one representative from each association member and one representative of the association. The Council President is Dr. Milan Šernek, professor on UNI LJ – Biotechnical Faculty – Department of Wood Science and Technology. performs other tasks and decides on other issues specified by the law, act on the establishment of the association, this statute or its general acts. The Council of Experts is responsible for practical and professional issues in the association, as well as for its programme and development. deals with practical and professional issues in the association and takes care of its programme and development.